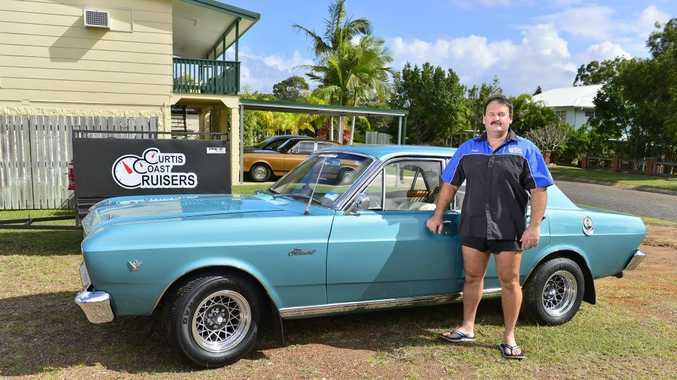 TANNUM Sands residents Darren (Dags) and Amanda Hansford's Ford Fairmont XR 1996 featured within The Observer's Me and My Ride section. Where have you been in it? We have been several places with the camper trailer in tow. Around the track at Bathurst twice. What upgrades have you had done to it? Engine mods, 347 Stroker crank, aluminium Cleveland heads, 750 double pumper carby, modified exhaust and fuel system, 5-speed TKO gearbox, upgrade suspension and brakes, hotwire wheels. Now has personalized number plates. Would you ever trade it in? No, I've spent too many hours and dollars on it. Is this your dream car and why? If not, what is your dream car? Yes, I have always liked the shape and look of the XR's with all the stainless trim and the "oldskool" V8 sound. With Bowden's car care cleaning products and a lot of elbow grease.